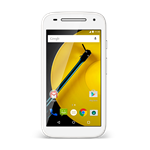 The 2nd Moto E is Motorola's cheap phone, but it's really not that bad for less demanding use. Normally it goes for $120 - $150 depending on whether you want LTE. Today Amazon is apparently selling them for significantly less. Global and US GSM models are going for just $90. LTE models are selling for only $10 more. You get a 4.5-inch qHD display, a 5MP camera, and a 2390mAh battery. 3G models get a Snapdragon 200 processor, while the LTE option comes with the 410 instead. Either way, you have your choice of black or white. 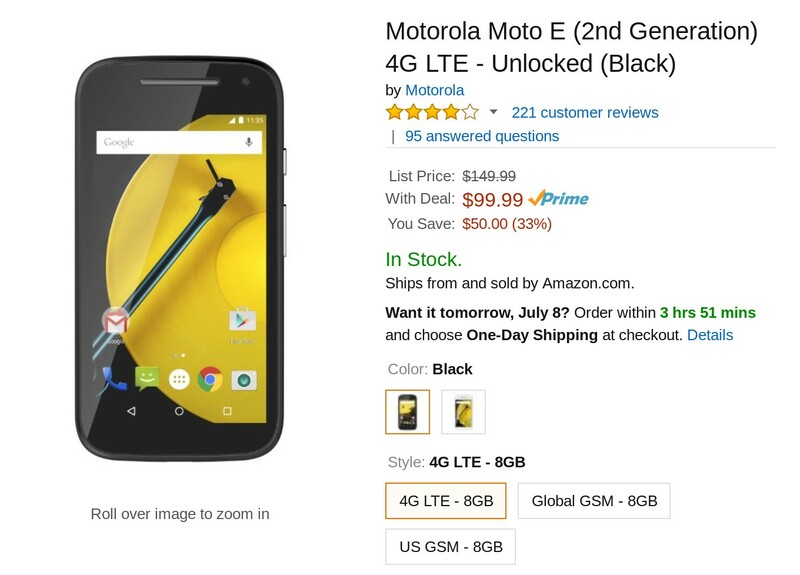 These units are GSM-only, so don't pick one up if you're looking to use your Moto E on Verizon or Sprint. You will have to purchase one of their carrier-specific variants to get on their networks.